(Newser) – The horrific history of Charles Manson and his followers could soon be rewritten. The Los Angeles Police Department has asked for eight hours of decades-old audio recordings that could link the Manson family to more murders, reports NBC Los Angeles. The tapes feature conversations between Manson's former right-hand man, Charles "Tex" Watson, and Watson's lawyer Bill Boyd, and they have never before been heard by law enforcement. I'm not a lawyer, but I guess the way it works is that the attorney-client privilege is waived as soon as the information is disclosed to a third party. Too bad...Charlie can't surf. But he is a towering legend in the annals of American jurisprudence. They were supposed to have killed a ranch hand working at Spann Ranch named Shorty Shea. Manson himself shot a dope dealer and thought he was dead but the guy survived and ran in to Manson in the LA County Jail much to Manson's surprise. I have heard a theory that Manson was not trying to start any race war but that he was carrying out hits. Wojciech Frykowski who was murdered at the Tate's was allegedly a dope dealer and Leo LaBianca was a know gambler. 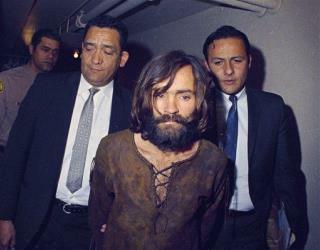 Some have speculated that Manson was using the family to carry out his killing for hire scheme.